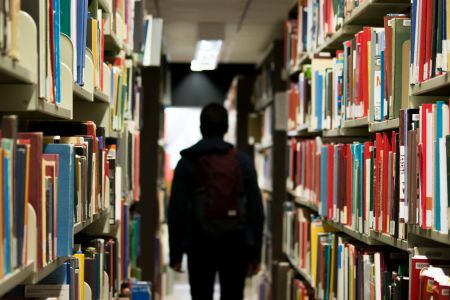 With graduation season almost over, thousands of newly-minted degree holders will be leaving their campuses and joining the ranks of the working world—or attempting to. According to the Harvard Crimson, there's a better-than-average chance that anyone who tells you they just graduated from "a school in Boston" will not only be in a job in the next few months, but that job will likely be rather well paid. I know: big surprise, right? According to the Crimson's survey, some 60% of seniors will join the labor force in the next year, with a further 24% either headed for further study or some sort of fellowship opportunity. Just 14% remain "undecided", with the other 2% apparently planning to go and see the world. 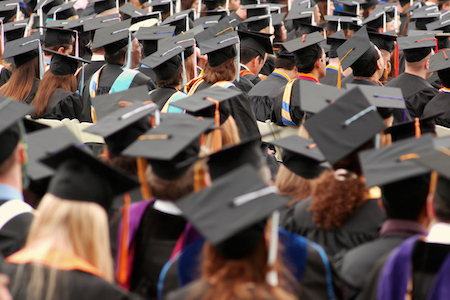 While those stats alone are arresting—4 in 5 students nationwide graduated without a job in 2015—what's really interesting is where those Harvard grads are heading. 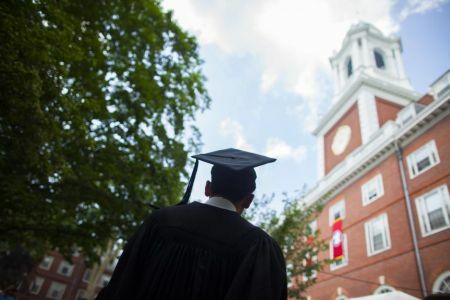 Fortunately, the Crimson has us covered there too, noting that 52% of those entering the workforce—or more than 30% of the entire graduating class—will be heading for consulting, finance or technology. 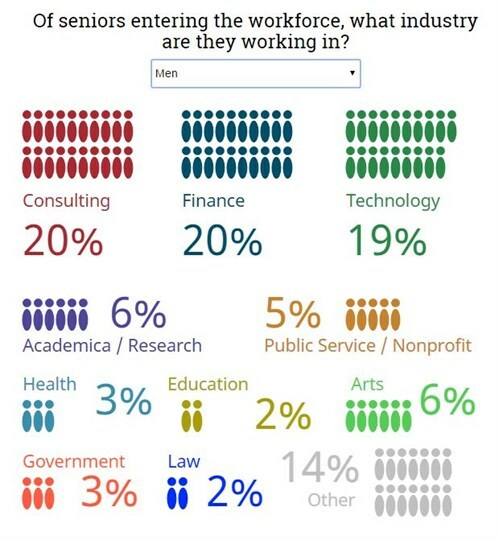 As you can see, a higher proportion of men than women are likely to head to those big 3 professions, with a six-point difference between the sexes perhaps highlighting the difficult reputation that the tech industry has as a place for women to build their careers. 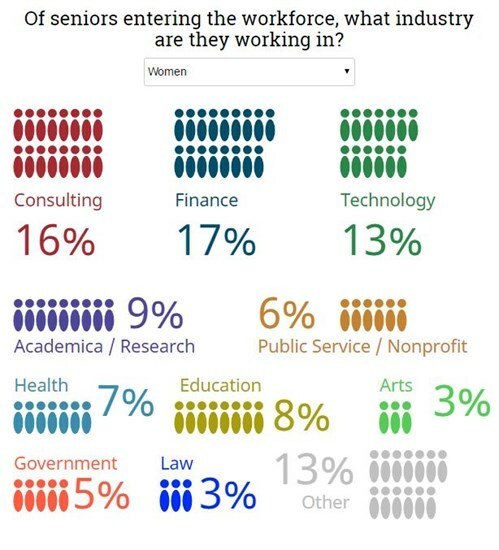 Also interesting to note is that women are more likely to be headed for careers in fields such as academia, health, education and government than their male counterparts. This perhaps helps to explain the gender gap in salaries: while more than half of Harvard's seniors will make over $70,000 in their first year out of school, just 44% of women will make that much compared to 60% of men. Likewise 13% of graduating Harvard men will make more than $110,000, compared to just 4% of women. One possible use for all that cash: paying down student loans. 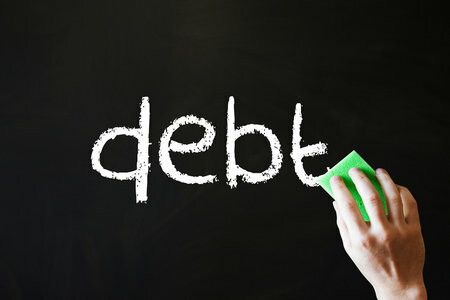 According to the Crimsons's stats, almost half of the respondents who will be graduating with debt and entering the consulting industry noted that their student loans had an effect on their post-graduation plans.